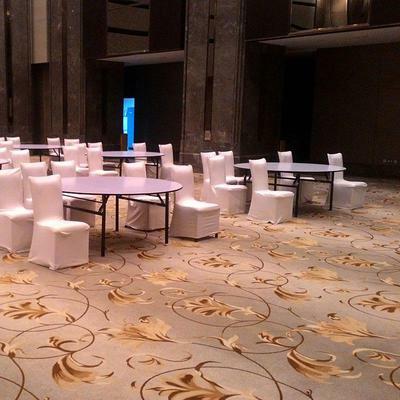 Brintons worked together with internationally acclaimed design firm, Wilson Associates to create a beautiful custom designed Axminster carpet for the banquet hall and pre-function areas of the Shangri-La Bengaluru. The hotel’s interiors, designed by Wilson Associates, are inspired by Bangalore’s cultural heritage, as India’s ‘Garden City’. Traditional Indian design motifs and floral patterning are prominent throughout, yet are thoughtfully restrained and streamlined. 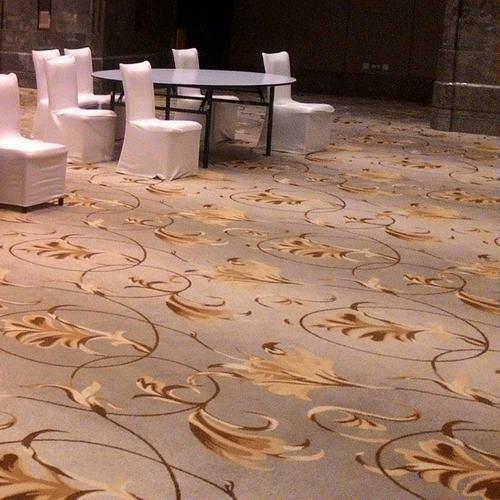 The Wilson Associates design team worked with Brintons to develop an abstract floral pattern for the floors of the pre-function and banqueting halls. The resulting large scale floral swirls over the floor, in a luxurious palette of golds and platinum. The carpet design ties in seamlessly with Wilson Associates vision to utilise traditional Indian design cues in a sensitive, contemporary way. Whilst beautiful, the carpet is also engineered to perform and offer superior comfort underfoot. 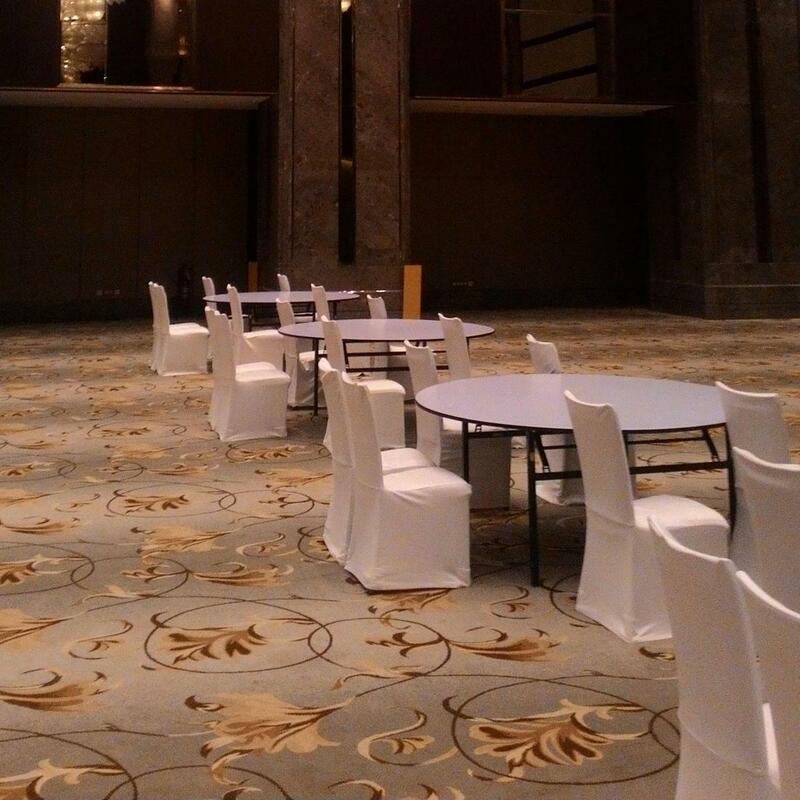 The Brintons team provided full design, sampling and project management support to achieve the successful, on time delivery of the Shangri-La Bengaluru project. 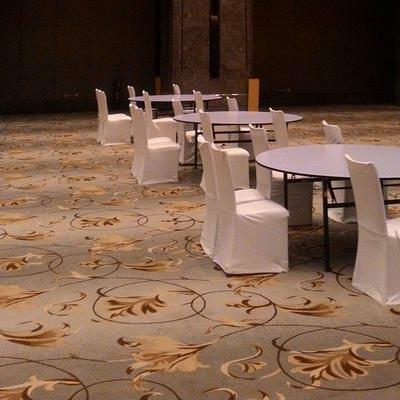 Brintons Carpets came on board for executing our banquet hall. The design looks fantastic on our super luxury property. Right from design stage to final installation and even after sales follow up has been most professional and efficient. 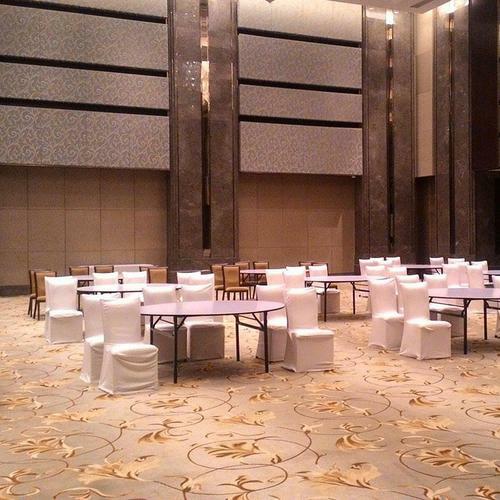 The timely delivery with complete co-ordination on the installation support was easy and efficiently executed. The overall feel and quality of the product is much appreciated. We are very satisfied with the Axminster quality product and would most definitely use their services for any future projects that we may undertake.